Everywhere I look I see familiar symbols that remind me of the light and joy of the holiday season. At Matt Talbot we celebrate in big and small ways - with a collective wish for peace. One of my favorite traditions is our annual Holiday Fiesta where we enjoy a traditional Mexican feast with our guests. The special food and decorations in the dining room that day are symbols of the blessings we share and the promise of better days. The poinsettia plant, native to Mexico, is a symbol of Christmas in many countries throughout the world. Mexican legend says that one Christmas Eve a girl whose family was very poor picked a few weeds to bring to church for baby Jesus. Many looked down on her, but the little girl believed that Jesus would appreciate any gift given in love. The weeds bloomed into a beautiful plant with red leaves, and all knew they had witnessed a Christmas miracle. 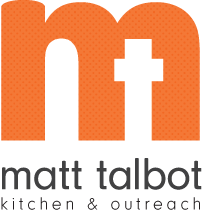 This year at Matt Talbot we have stretched our resources and faith by expanding services to include more housing for the chronically homeless. We also continue to offer critical services so that working poor and homeless individuals and families can stay in their home or find a home. A hot meal, access to shower and laundry facilities, substance abuse counseling, and case management - all of these outreach services and many more move our community along the path to defeating hunger and homelessness. Like the little girl, we have seen that great things happen when gifts are given in love. Thank you for your compassion, support and gifts given in love. Merry Christmas to you and your loved ones! Feliz Navidad! p.s. Donate online or send your gift today - holiday and year-end donations keep our doors open 365 days a year!